The SFDC formed in 2012 to advocate for a grassroots vision for the future of the Michigan State Fairgrounds. We bring together diverse voices in Detroit, the tri-county region, and the State, in support of METAexpo - residents, neighborhood groups, non-profits, entrepreneurs, business associations, civic leaders, union members, urban farmers, and more. METAexpo is a forward-looking, 21st Century concept for the site of the first and longest running State Fair in the country (closed in 2009). Its 12-member steering committee is supported by an active base of over 300 advocates. Our members and supporters are elected city and tri-county officials, educators, technical industry innovators, State Fair aficionados and former employees, farmers and animal trainers, ranchers, librarians, lawyers, architects, landscape architects, urban planners, construction and factory workers and managers, realtors, doctors, community advocates, retirees, youth, and more. SFDC members at the American Society of Landscape Architects (Michigan) ceremony accepting the Merit Award 10/2/15. L to R: Carron Pinkens, Debbie Schutte (Woodward Ave Action Assoc), Frank Hammer, Karen Hammer, Beth Hagenbuch, Ken Weikel, Mark Johnson. Photographer, graphic designer, ceramic sculptor Barbara Barefield has lived in the Palmer Park area since 1975. A New York transplant and University of Michigan graduate, she is a former art director of the Detroit Free Press Sunday magazine Detroit in the late 1970s, and UAW Solidarity magazine for 24 years. She first fell in love with the State Fair when her children were young in the mid-1980s through the 1990s, gravitating more toward the merry-go-round and animals than the roller coaster and ferris wheel. A community activist focused on using the arts, music, creativity and historic preservation to improve, transform and strengthen urban neighborhoods, she serves as a board member and events chair for People for Palmer Park. With her husband, jazz guitarist-composer A. Spencer Barefield, she produces Palmer Woods Music in Homes, a series they started in 2007 to support the arts and change Detroit's negative image by showcasing great Detroit jazz, classical and world music in treasured mansions and historic homes in Palmer Woods, a neighborhood located just south of the Michigan State Fairgrounds. Barefield is a Knight Foundation Arts Challenge winner for her photography and book project, JazzSpace Detroit. 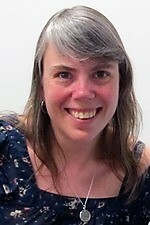 An early member of the SFDC, she is the organization's webmaster. Barefield can often be found with camera in one hand and her St. Bernard Django in the other, promoting great jazz and music in Detroit, and helping to create events and support campaigns to revitalize Detroit and attain social and economic equality. Practicing: IMPROV, Yoga, Swimming, LD21Apr80, large family - Retired - Army Aviation UH-1, Wayne Co. Water Pollution Inspector - ViceChair Friends of the Detroit River - John R - 7 Mile Business Improvement District - Sustainability -Green Task Force City of Detroit. 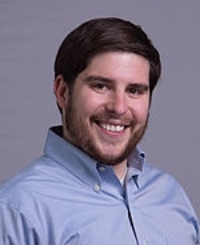 Sam Butler has over a decade of experience working with community groups throughout the City of Detroit, leading neighborhood planning processes, and conducting residential and commercial market analyses for low-income neighborhoods. 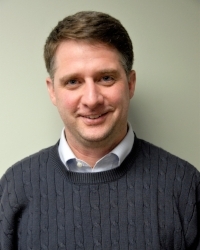 Prior to D4, Sam was Director of Planning & Technical Programs at Michigan Community Resources and served as Interim Executive Director of Creekside CDC. Sam has a Master of Urban Planning from the University of Michigan. Born and raised in Metro Detroit, I am an aspiring entrepreneur committed to serve and develop sustainable communities through renewable and responsible solutions that empower people to embrace kindness, practice compassion, stand up for justice, and work for the common good. I have joined this grassroots effort for sustainable development at the Michigan State Fairgrounds because I feel it is an important opportunity to enhance the environment and health of our community. The current revitalization efforts taking place all over Detroit combined with the limbo status of the former State Fairgrounds property has created an opportunity to make this site a model for responsible urban development. Please join our effort to advocate for local human and environmental rights through education, community organization, and action. Beth Hagenbuch is a licensed Landscape Architect and has been a partner at Hagenbuch Weikal Landscape Architecture since 2000, with experience in master planning concept, design and project management, including the production of construction and presentation documents. In addition to her work at HWLA ,she has a diverse background in the design and visual arts fields including graphic arts and photography. The many experiences that come with living in places and cities as diverse as Merida, Yucatan, Mexico, Houston, Miami, London, Los Angeles, and Metro Detroit inform her perspectives and approach to spaces, culture and design. Fluency in Spanish allows her to work cross-culturally in client relations and on job sites. 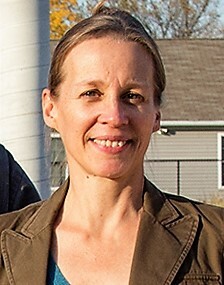 Beth is president of the non-profit organization GrowTown, whose concept for empowering grassroots neighborhood development based on local food systems and urban design principles was a semi-finalist in the 2010 Buckminster Fuller Challenge, an international design competition named “Socially-Responsible Design’s Highest Award” by Metropolis Magazine. She was also the recipient of a 2015 Kresge Innovation Grant to develop the Penrose Market Garden near 7 Mile and Woodward Avenue in Detroit. She was the lead landscape architect for Lafayette Greens, an urban garden sponsored by Compuware Corporation in downtown Detroit , recipient of a 2012 American Society of Landscape Architects Professional Honor Award in the General Design Category. 43-year Detroit resident, active with the community over the fate of the Fairgrounds for a couple of decades. Former President of the Greenacres Woodward Civic Association (GWCA) and current Board member. Chair of the Fairgrounds Development Committee (FAC). State-appointed representative (2012) on five-member Fairgrounds Advisory Committee (FAC). Active in State Fairgrounds Development Coalition (SFDC) since 2012. Retired UAW-GM International Representative and former President and Chairman of UAW Local 909 at GM Powertrain in Warren. Adjunct Faculty, Labor Studies Programs at Wayne State and Indiana Universities. Board member of the Michigan Coalition of Human Rights. Board member of the Baltimore-based online news service, The Real News. Write monthly column in GWCA NEWS, blog for The Real News. 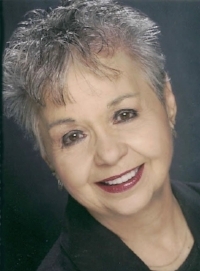 Past President of Greenacres-Woodward Civic Association (GWCA), current Board member. Writes monthly articles on sustainability and environmental issues for GWCA News. Co-founder of State Fairgrounds Development Coalition (SFDC), with two others, from ICARE (Inter-County Citizens Achieving Regional Excellence)- 2012. Long-term resident of Detroit and graduate of Wayne State University. Active with University District Community Association (Membership Committee, Special Assessment Committee, Beautification Committee). 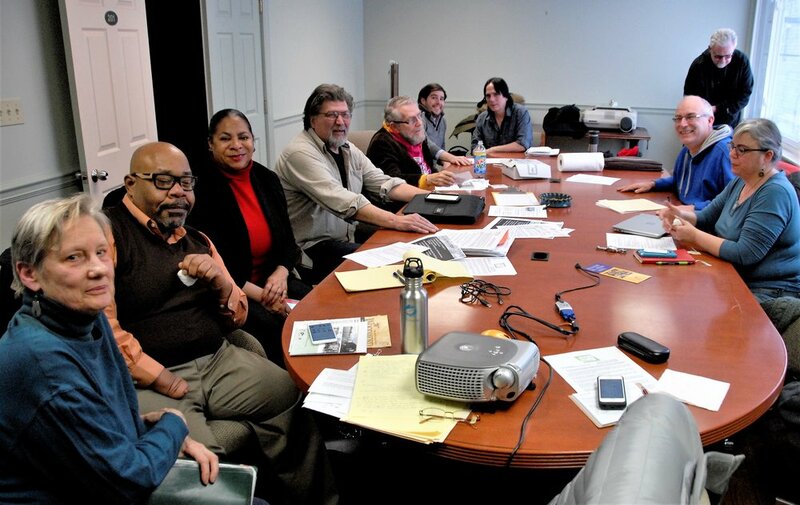 Active with Gesu Church (Sanctuary Committee, Homeless and Housing Committee, DRIVE Committee). Volunteer with LifeRemodeled-Detroit. Worked as a teacher and environmental and construction tester. Interested in seeing any future development of the old State Fairgrounds incorporating elements of historical preservation, parks and green space, mixed-use housing, transportation hub, commercial and retail space, entertainment venues, and community development and gathering areas. Director of Community Organizing, D4 - Jeffrey Jones has dedicated his career to strengthening Detroit neighborhoods and improving the quality of life for all residents. Prior to joining D4, Jeff served as Community Manager for the Next Detroit Neighborhood Initiative and as Site Director of the Historic Sophie Wright Settlement, now home to the Boggs School. Jeffrey has a Master of Public Administration from the University of Michigan - Dearborn and is a Master’s Degree candidate in Urban Planning at Wayne State University. Transportation Administrator, retired. 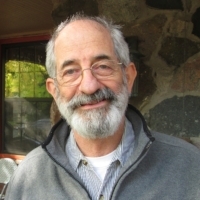 Retired transportation administrator with over thirty years of experience managing public transit systems in Southeastern Michigan and the state of Connecticut. This includes the Southeastern Michigan Transportation Authority (SEMTA), the Detroit Department of Transportation (DDOT), the Detroit Transportation Corp.(DTC) and Deputy Commissioner of the Connecticut Department of Transportation, where the responsibilities included managing the Bureaus of Finance and Administration, Public Transportation and Aviation and Ports. Additionally, consultant on transportation projects and programs including Transportation Oriented Development (TOD). Married, father of four children, born and raised in the city of Detroit, attended Wayne State University and Seton Hall University Law School. He has practiced law for close to 15 years in the states of Michigan and Massachusetts, practicing in the areas of Civil and Commercial litigation, Immigration, Family Law and Probate and Estates. 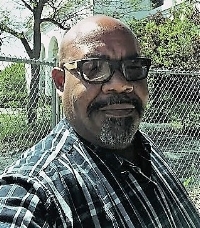 He is a former senior aide to former Detroit City Councilman Clyde Cleveland and has worked tirelessly on the Wayne County Ethics Board for the past 4 years and currently serves as Chairman of the Board. 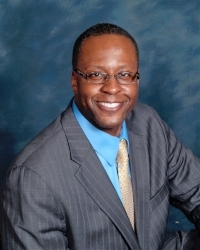 Mr. Pinkins is currently managing partner of Pinkins & Pinkins, PLLC of Detroit. Detroit resident for forty years. Greenacres Woodward resident for 32 years. Greenacres-Woodward Community Radio Patrol member for over 25 years. Member of the State Bar of Michigan, Government Law Section. I got involved back in 2009. I saw a piece in the Detroit Free Press that the Michigan State Fair was in danger of closing, there’d be a meeting with the Board of Directors, and people from Lansing at the Community Arts Auditorium. I went to that meeting and was amazed to see a huge crowd of protestors, including vendors and citizens. They not only went to the Fair each year, but took their children to the Fairgrounds during the year for ice skating, etc. This was their place and they were ready to fight for it. I saw people I knew from my days with Young Audiences of Michigan, and a fellow Southfielder, Dr. Grenae Dudley, who had a youth center on the Fairgrounds. I.C.A.R.E. (Inter County Citizens Achieving Regional Excellence) was formed. I joined with them to enjoin Governor Granholm to save the Fairgrounds. We had collected 55,000 signatures, petitioning to fund future state fairs. 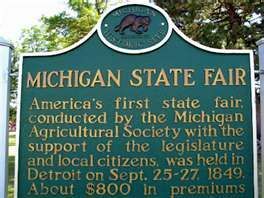 As a result, the Michigan legislature earmarked $7M for the 2010 State Fair. Granholm vetoed it. By December 2009, the 160-year-old State Fair was no more. I learned of the State Fairgrounds Development Coalition (SFDC), formed by citizens of neighboring communities. It included an architect and landscape architects, who joined forces to design METAexpo, free of charge. Their iteration of the community input was fabulous, but the powers that be didn’t seem to care. When Governor Snyder chose developers of that awful plan, I really got angry and joined the SFDC. I’m still speaking out for the best we can do for all Michigan. Adrienne D. Warren possesses decades of experience as a professional publicist, marketing expert and marketing consultant in several major cities; New York City, Washington, D.C., San Francisco, Oakland, California, and Detroit, Michigan. Ms. Warren has national experience working with celebrities and famous people in the world of news, entertainment and dance, and she has worked with the largest media outlets in the country placing stories and obtaining news coverage. Her widespread experience involves marketing, publicity, advertising, media relations, public relations, and promotions. Adrienne’s marketing expertise is in strategic planning and implementation of marketing campaigns, sponsorship acquisition, fundraising and development, as well as marketing or coordination of major special events. She has been the coordinator of the San Francisco Black Film Festival, the Oakland International Festival, the Urban Wheels Awards (Detroit) and the Detroiters Working for Environmental Justice 20th Anniversary. Ms. Warren has been and currently is retained by clients to work on production of numerous publications, along with the marketing of their books. She has also worked on political campaigns around the country with Maxine Waters, Willie Brown, Reverend Jesse Jackson, John Conyers, Freman Hendrix, President Barack Obama, and she was recently the campaign manager for Detroit City Council District 3 candidate Russ Bellant. Kenneth Weikal has been a licensed Landscape Architect since 1986, formed Kenneth Weikal Landscape Architecture in 1989, and Hagenbuch Weikal Landscape Architecture in 2015.The office's work has included master planning, conceptual and final site design for campuses, multi-family and single family communities, recreation areas, parks and private residential projects. HWLA has participated extensively in the “Team Approach” to project design and implementation, working as the Landscape Architects/ Site Planners with the client, architects, engineers, and environmental specialists. As the head of a focused design firm, he has overseen these types of projects from concept through installation throughout the mid-west, Kansas , Texas and North Carolina . Mr. Weikal also has an extensive background in working with partnerships composed of diverse members, bringing groups to consensus and moving projects forward into implementation.